About Us » What do we believe in? 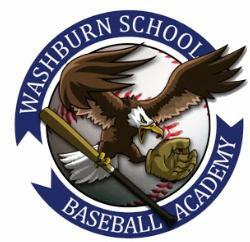 What does Washburn School believe in? 1. Critical thinking and problem solving skills are vital in addressing the complex societal and ethical issues of our time. 2. Students learn best in a community where academic disciplines are integrated, fostering an appreciation of how they interact and form connections as a whole. 3. Interdependence propels us to understand the languages, systems, and diverse cultures of people throughout the world. 4. Literature, music and the arts are essential, timeless aspects of human existence. 5. The methods of science provide discipline to our search for structure in the world. 6. Research stems from a combination of fundamental knowledge, individual creativity, and curiosity. 7. Effective communication is often the only difference between a good idea and a successful initiative. At Washburn we want students to go from the, "thinking stage" to the, "doing stage." 8. Washburn believes in collaborative learning, athletics, and extracurricular activities to develop leadership and vital interpersonal skills. 9. We believe responsibility, student accountability for learning, and integrity in everything we do are core principles in the pursuit of excellence. Washburn strives for this type of excellence based on the principal of doing what is right even when no one is watching. 10. At Washburn we believe Learning never ends.